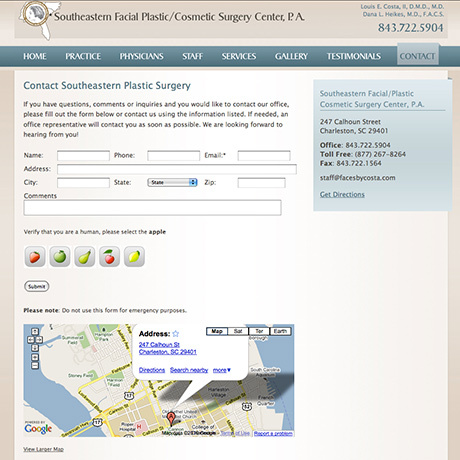 Southeastern Facial Plastic/Cosmetic Surgery Center, P.A. 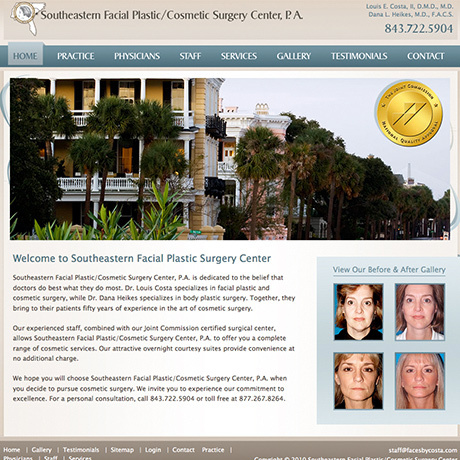 offers a complete range of facial and cosmetic surgery services. 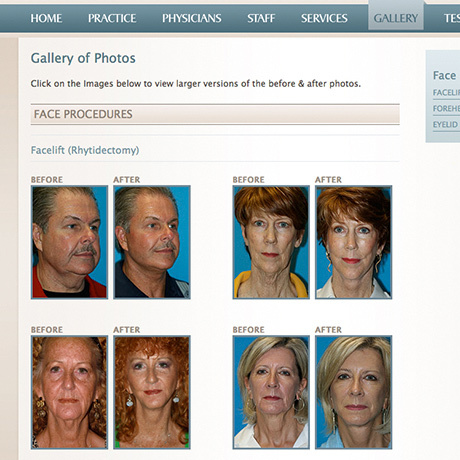 They are highly dedicated to the belief that doctors do best what they do most, and between their partners, they bring to their patients fifty years of experience in the art of cosmetic surgery, and their website needed to depict this. One of the methods we went about showing Costa's experience was by prominently displaying their work. 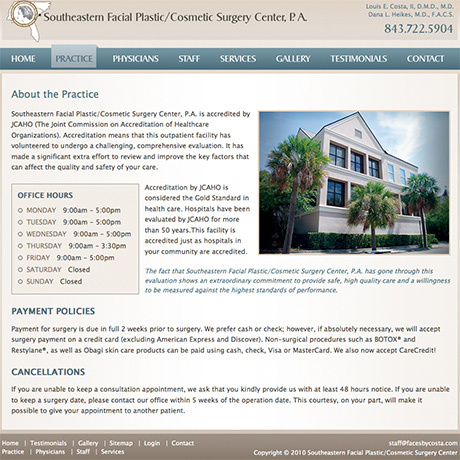 After receiving approval from their clients, The Design Group set up an intensive Before and After Gallery, compatible with the practice's in-office photograph software. 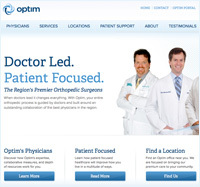 In addition to the Gallery feature, we also created an in-depth physician bio section for the primary Physicians to update their bios, images, and credentials periodically.